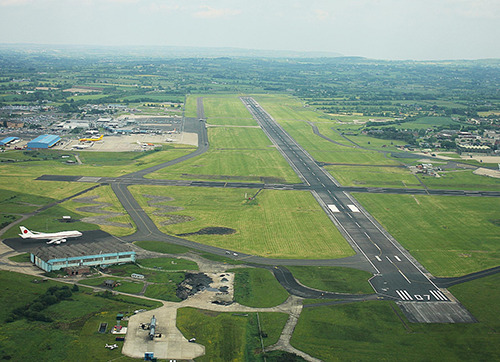 Belfast International Airport is located 13 miles northwest of Belfast, and was formerly known and sometimes still referred to as Aldergrove Airport. It is the busiest airport in Northern Island and the second busiest in Ireland - over 5.1 million passengers travelled through the airport in 2016 – a 17% increase compared with 2015. "In 2016, the car parks at the airport where all renovated, featuring new barrier designs and upgraded features for drivers. Now managed in-house, another change for the car parks included changing the reservation systems provider. This change meant that ParkCloud had to change the integration for Belfast International Airport on its site. Keeping on top of its clients' needs and adapting to suit its changes is one of the ways ParkCloud continues to be a flexible partner, easily suiting the needs of its collaborators." As well as promoting the car parks on ParkCloud's own website, Belfast International Airport also benefits from its services being promoted by the brands and airlines ParkCloud works with. Customers are able to book parking through white labels created for airlines like WizzAir.